Join the Century Swim for Strong Kids team in support of the launch of the 2015 Strong Kids Campaign. Swimmers can choose 30/50/70/100 repeats of 100m + we will have a kids4strongkids category. From our Team Page, click on the ‘Join My Team’ button to register and help us fund raise. We ask that you provide a donation as your registration fee. Be Strong for Strong Kids! Our $2,500 fundraising goal needs your support! If you can’t join us in the pool, please support Strong Kids by donating online to ‘Century Swim Supporter’ in the link provided above. What Can Someone Expect in a Private Swimming Lesson? 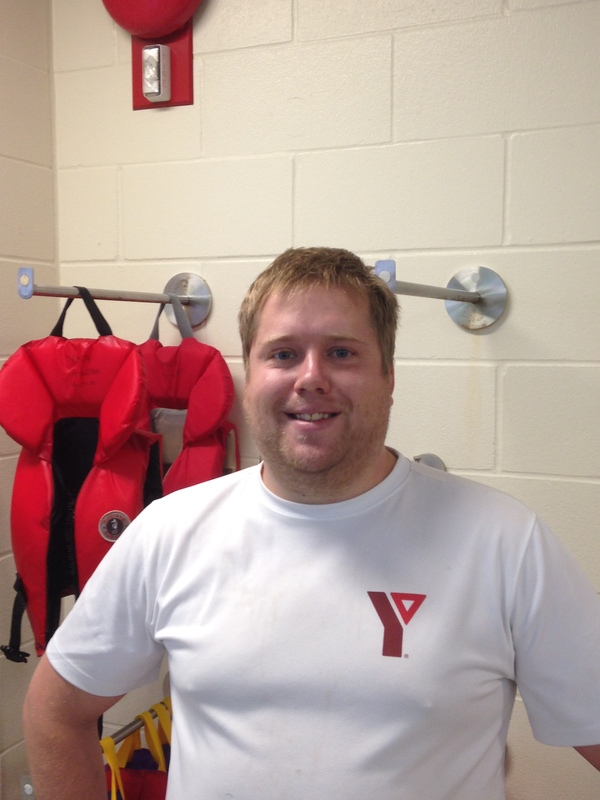 Thanks for joining me Andrew Daw, the Aquatics Supervisor at the Saddletowne YMCA! What’s the difference between a private swimming lesson and a regular swim class? The main difference is that we are able to really get to know the individual and it allows us to work one-on- one with them. We can quickly identify their strengths are and opportunities for improvement. The good thing about a private lessons is that the student is the boss- people can decide what they would most likely focus on and the instructor will be able to follow through with it on a lesson-by-lesson basis. What can someone expect in a private swim lesson? Someone can expect a knowledgeable instructor who is able to identify the needs of the individual. Regardless of someone’s swimming ability, people can expect to grow as a swimmer. People can expect not only instruction for while they are in the class, but we coach our swimmers individually to practice skills outside of the class. For example, I will always leave people at the end of their lesson with something to work on before their next lesson. We see more improvement when people are able to practice outside of the lesson as well. Who would you suggest sign up for a private swim lesson? There are a few different types of swimmer that could use private swim lessons. First are those who are uncomfortable around water, and feel like they need someone right next to them as they learn to swim. In this type of a lesson we would go over breathing techniques, horizontal body position and kicking technique. These are essential components in developing one’s swimming ability. Those looking to improve technique, such as people who want to use swimming as a fitness routine, should also sign up. If people aren’t using proper technique they will not get the most of their swim and will not get all the cardiovascular benefits of a good swim. 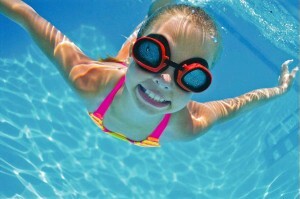 Children and youth who are uncomfortable in a formal swim lesson will also thrive in private swim lessons. This may be because they are shy or need that extra one-on-one attention. We have had great success building the confidence of children up to the point where they will feel more comfortable in a group lesson with their friends. I’ve seen children as old as 14 who have done exceptionally well in a private lesson. In a group lesson they may have been placed with younger children due to their swimming experience; in a private swim lesson we can reach their full potential before they move into a regular class with their peers. How can people register- who should they contact? People can contact me at 403-537-2726 to book a private swim lesson at the Saddletowne YMCA. 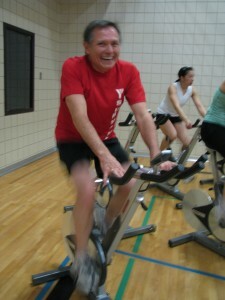 You can also e-mail me at Andrew.daw@calgary.ymca.ca. What would be the best Aquatics-themed costume choice for Halloween? Hmm. Ariel [the Little Mermaid -Steve] is always a popular choice. 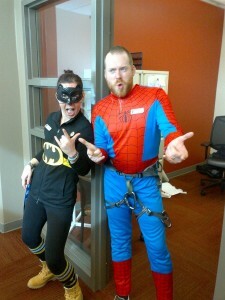 What would you dress up as if you had to teach a private swim lesson in costume? I’d probably dress up as Spider Man because I always tell my students when they are doing their back glides that they have to stand on the wall like Spiderman. Did you know that our pools always have at least one lane set apart for lane swimming? Every hour that pools in our locations are open, lane swimming is available. But, you ask, what about those busy times when one lane just isn’t enough? It’s true that there are times throughout the day when lane swimming is more in demand. At these times multiple lanes or the entire pool may be designated for lane swimming. 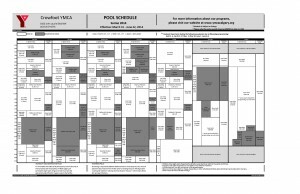 Lane swimming times vary at each location and are outlined in the Pool Schedule found on the Location Pages. These downloadable PDFs can be saved or printed for quick and easy access. Hover your mouse over the PROGRAMS, LOCATIONS & MEMBERSHIP tab and click the drop-down menu to select your preferred YMCA Calgary location. Then click the Pool or Gym & Pool Schedule for the correct dates. 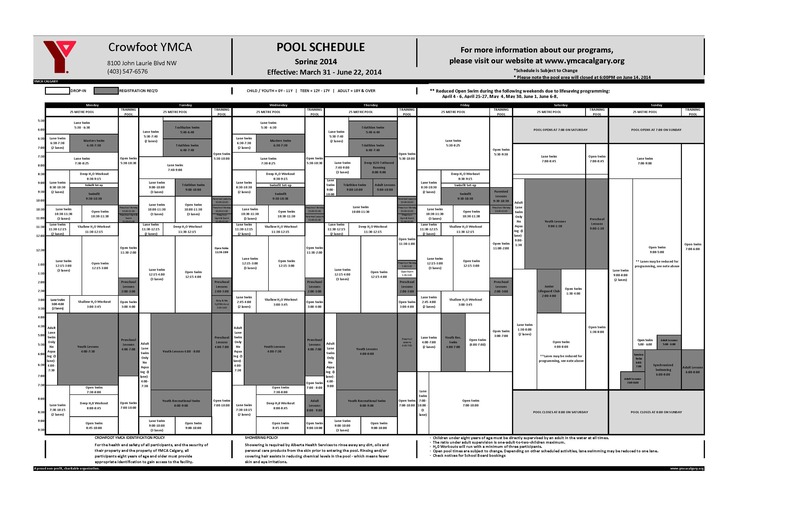 If you’re interested in drop-in fitness classes, you can look at the downloadable Gym Schedule on the Locations pages, or you can use our new searchable Drop-In Fitness Class Schedule, but know, lane swimming times can only be found in the Pool Schedule. Do you like working with people? Do you want a job that makes a difference every day? Crowfoot YMCA is hiring! Being part of the Y means spending your time positively affecting the lives of others in the community. 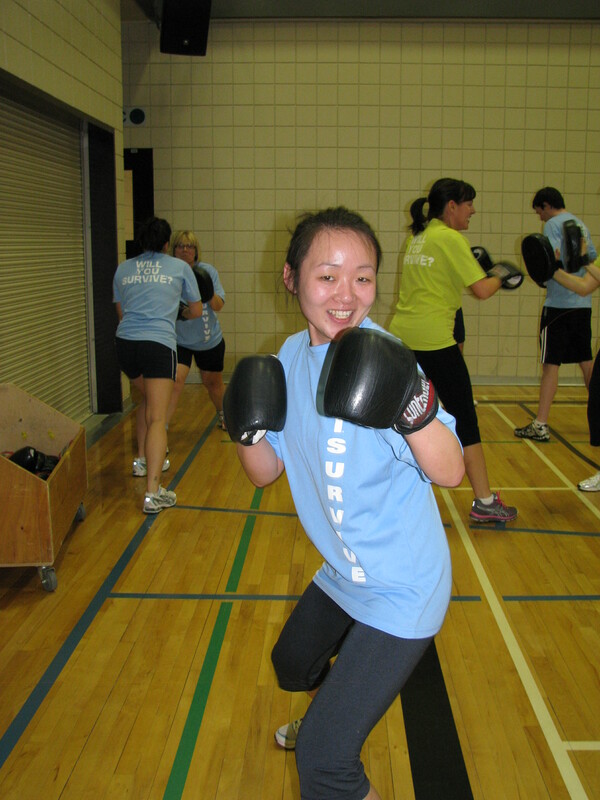 Please note that open swim will be closed at Shawnessy YMCA on Sunday, August 25th at 7pm for aquatic staff training. Lane swim will continue as scheduled. Private swim lessons are available for registration at Crowfoot. Please call the member services desk for more information and to register at 403-547-6576.